“Family” is a Birds in Art opening weekend touchstone. This observation is more accurately a statement of fact. From the seventy artists who traveled from around the world, to opening-day visitors, many of whom traveled equally great distances, the spirit that envelopes both returning and first-time artists, guests, and visitors is akin to a family reunion. It is heartwarming, awe-inspiring, and empowering to see younger artists meet longtime idols as well as observe the reunion of friends. For many, the Leigh Yawkey Woodson Art Museum – specifically Birds in Art opening weekends of years past – provided the all-important point-of-contact from which friendships and collaborations have ensued. From coast-to-coast and across oceans, not only artists, but also Museum members and north central Wisconsin residents at large have maintained and nurtured relationships that imbue the opening weekend with a reunion feel. This feel-good spirit extends to the Museum’s founding families, too. 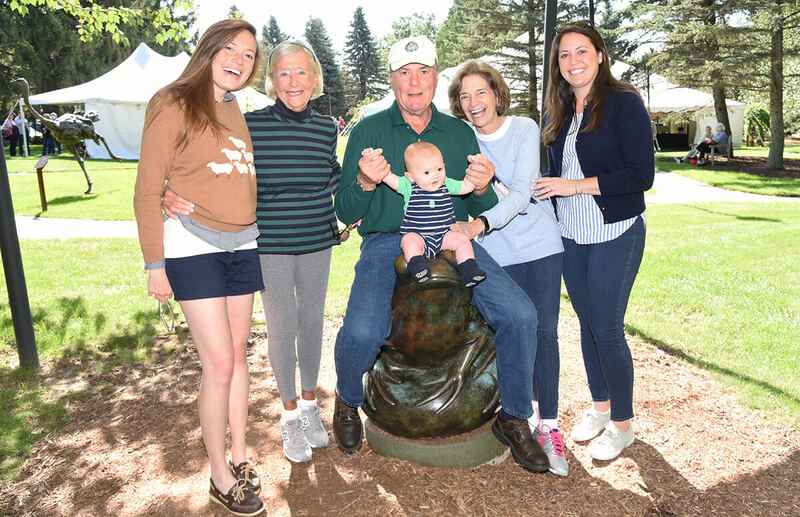 Many members of the extended Yawkey and Woodson families join in the Birds in Art opening weekend festivities, which is especially meaningful. Added to the many nuanced observations and interactions is my personal delight and my husband’s in welcoming my mother, our daughters, and our grandson to the 2018 Birds in Art exhibition; palpable multigenerational joy. Museum staff repeatedly hear visitor stories of annual fall pilgrimages to Birds in Art and tales of traditions begun at the urging of grandparents that are continued by subsequent generations. These powerful connections, made year after year and throughout the fall, are all part of the Birds in Art magic. Find your special connection through a visit to the Woodson Art Museum throughout the year and to Birds in Art now through Sunday, November 25. It’s a family affair; share in it!